Described by Musk as “the most powerful rocket in the world by a factor of two,”. 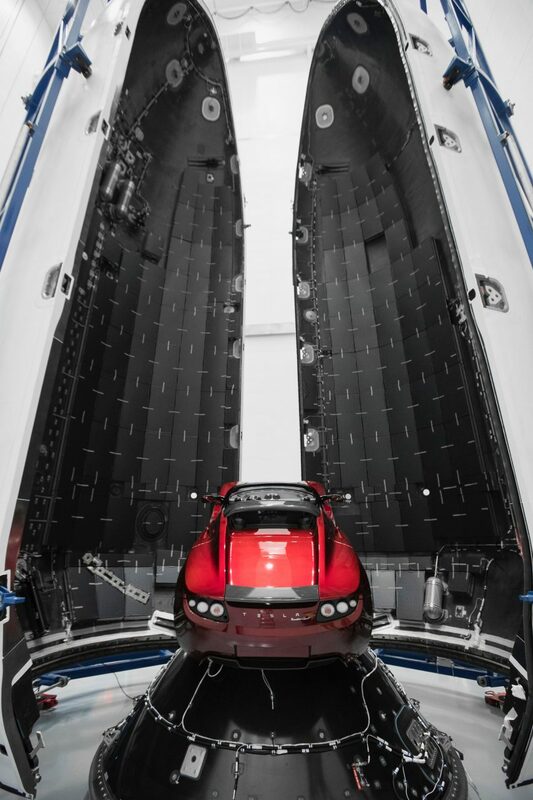 Following in the tradition of strange payloads carried by SpaceX, including a wheel of cheese onboard the Dragon capsule, the Falcon heavy will carry the tech entrepreneur’s own Tesla Roadster sports car into space. The car will be driven by a space-suited dummy, dubbed by Musk as “Starman”, and is set to play the soundtrack of David Bowie’s “Life on Mars?” during the launch. “I love the thought of a car drifting apparently endlessly through space and perhaps being discovered by an alien race millions of years in the future,” Musk wrote in a Tweet. If successful, the rocket will carry the Roadster over 250 million miles (400 million kilometres) from Earth at over seven miles per second. 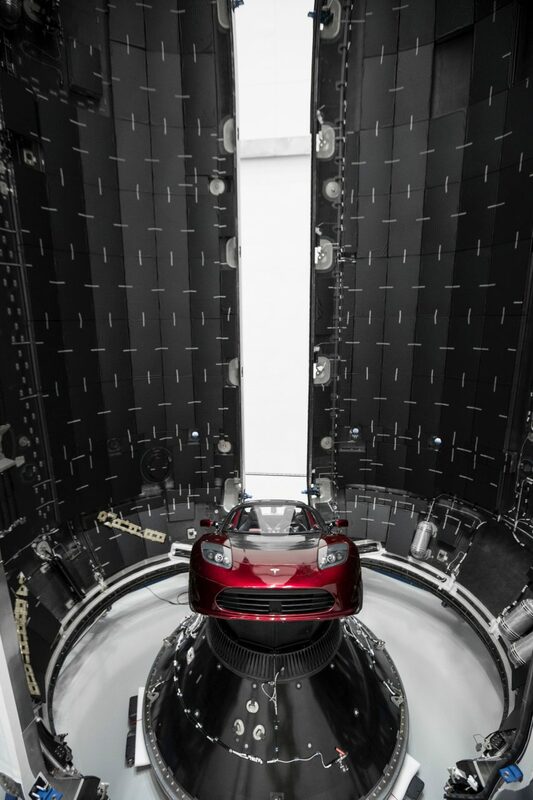 The car will be equipped with three cameras that, according to Musk, will provide “epic views” of the assent. “Whether the rocket succeeds or fails, it’s gonna be exciting. People are coming from all around the world to see what will either be a great rocket launch, or the best fireworks display they’ve ever seen,” Musk told CNN. 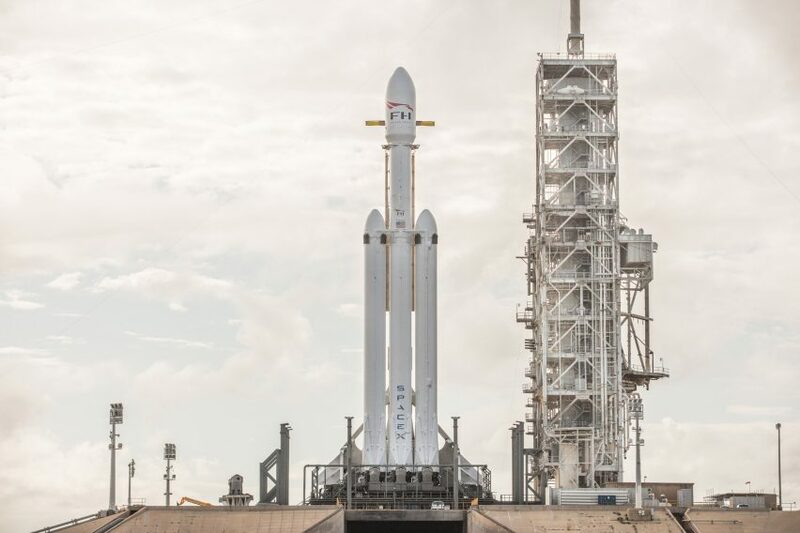 Designed to have more than twice the lifting capacity of the next closest operational vehicle, United Launch Alliance’s Delta IV Heavy, the Falcon Heavy has the ability to lift nearly 64 metric tonnes (141,000 lb) into orbit. According to the company, this is a mass greater than a 737 jetliner loaded with passengers, crew, luggage and fuel. Only NASA’s Saturn V rocket, last flown in 1973, has delivered a heavier payload into orbit. The aircraft has a triple-booster configuration, consisting of three of SpaceX’s Falcon 9 rockets, all equipped with 27 Merlin engines that can generate more than five million pounds of combined thrust at take-off. Following lift-off, both two side boosters are designed to detach from the central core and return to landing sites for reuse. The central booster will continue to travel, but is also designed to return to earth for reuse, with a landing planned on a drone ship located in the Atlantic Ocean. 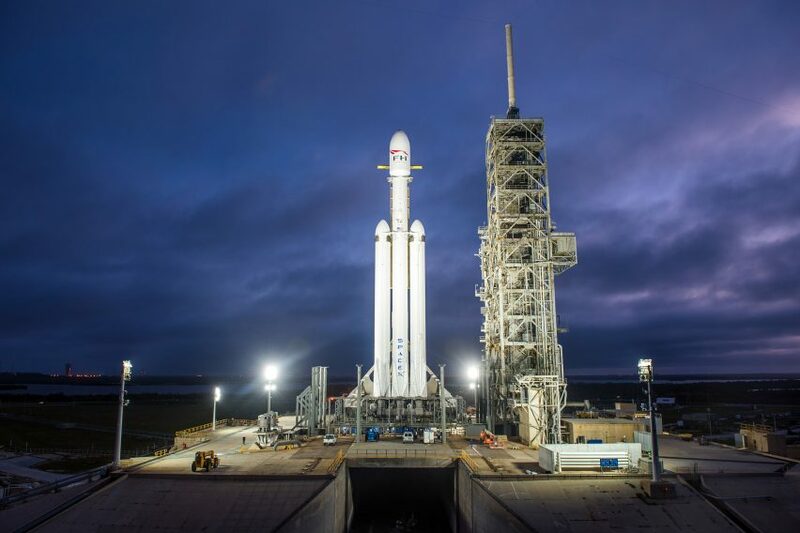 According to the company, Falcon Heavy has been designed to carry humans into space and restore the possibility of flying missions with crew to the Moon or Mars – an intention that aligns with Musk’s plans to start colonising the planet in 2022.